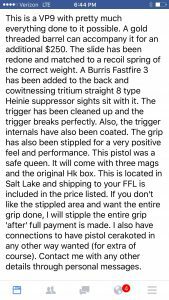 You know a pistol has “made it” when custom versions sell for 3-4x their MSRP. 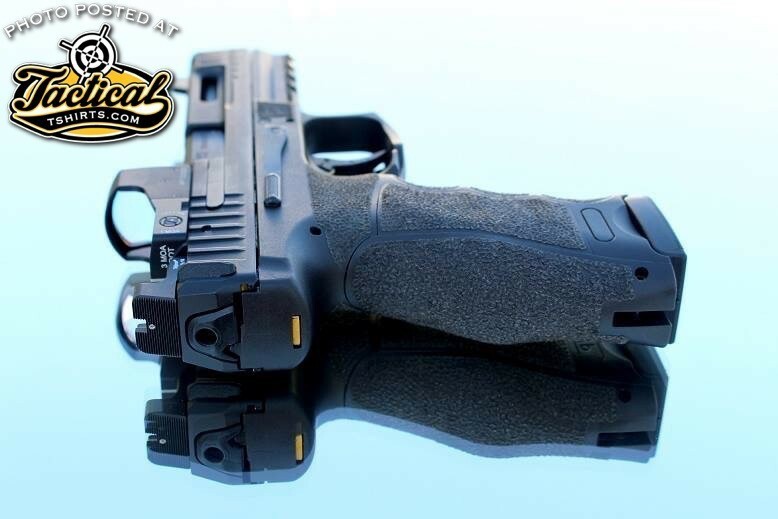 Here we have a HK VP9 that is commanding $1700.00! Now before we get into some class-warfare debate, I have been known to pay stupid money for guns and gear. So I don’t have a leg to stand on there. Just ask Freeze (Yes, you’re a douche. —Freeze). But $1700 for a polymer, striker handgun? I just don’t know how I feel about that? But I’ve never bought a $1700 Glock either. And doubt I ever will. Admittedly, I would like to play with it and see what the experience is like. Maybe learn a few things? Or have my mind changed? 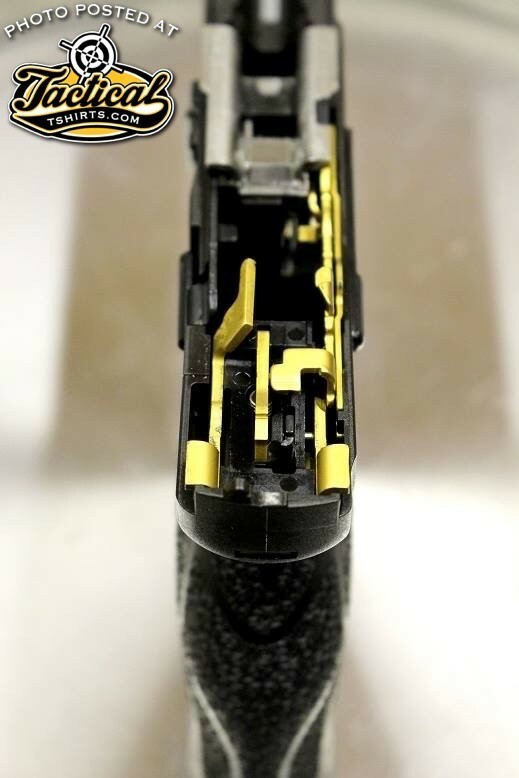 For example, why are the internals Ti coated? I think that’s what that is called? 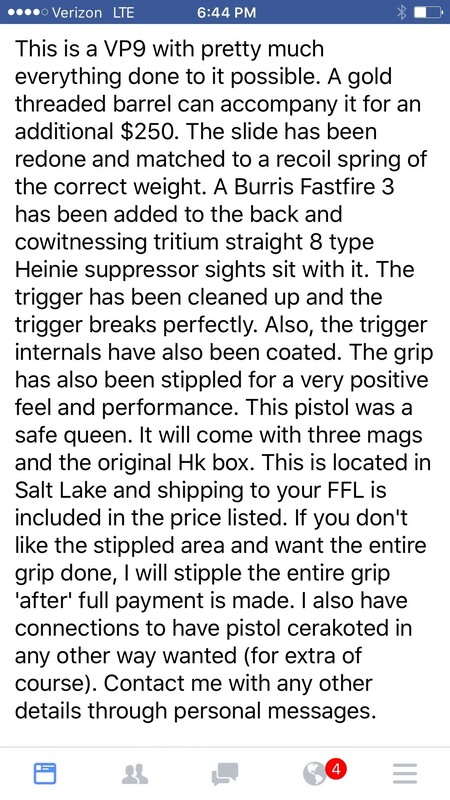 But does it help with trigger pull and reset? What difference does that make compared to standard stoning or dry-fire? $1700. The fact it comes with RDS helps the price somewhat. Anyway…here you go. 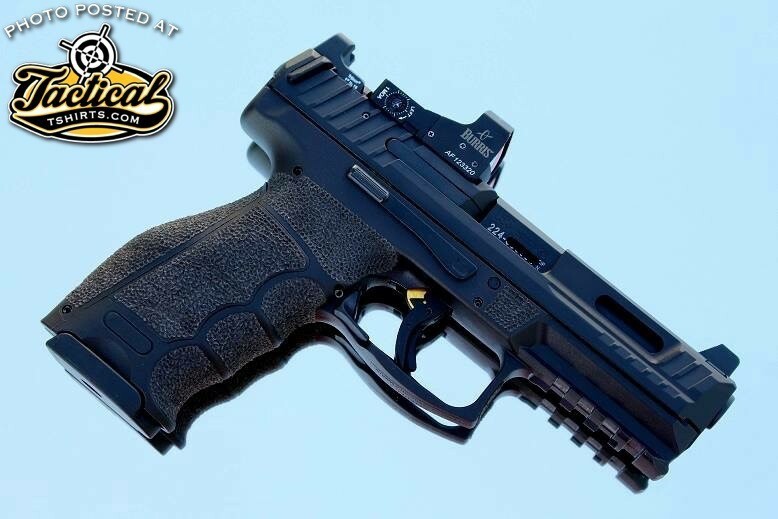 A $1700 HK VP9. I suggest you keep this a secret. Don’t want to give HK Germany any ideas about going back to the standard HK MSRP price structure. The listing is asking for $1700.